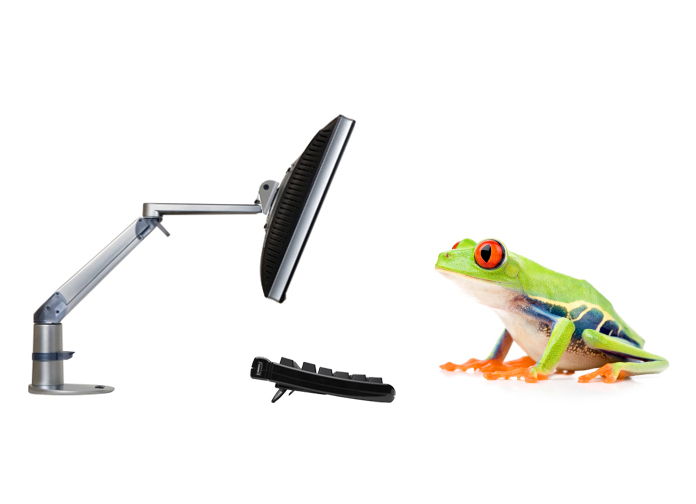 Ergonomic Accessories Inc. recognizes that our operations have an effect on the world’s environment. We accept our role and responsibility to providing a cleaner and healthier environment for our generation and generations to come and pledge a corporate-wide commitment to minimizing any and all impacts that our day-to-day operations have on the environment. We are committed to taking responsibility for the products we produce and distribute and consider the environmental impacts of our products at all stages of their life cycle: from design, to manufacturing, customer use, and ﬁnal disposal. We are committed to continuous improvements in environmental performance and the minimization of waste materials. Through the promotion of environmental awareness, training of our staff, and environmental audits our entire company is challenged to meet this goal. EA’s products all consist of a high percentage of recycled and/or recyclable raw materials. Waste minimization in our manufacturing processes is achieved through the maximization of yields of all raw materials. Continuous evaluation and improvement of all manufacturing, assembly, and packaging processes takes place to ensure that waste is kept to the lowest possible level and that our operations are as environmentally efficient as possible. In cases where waste is a by-product of operations our environmental efficiency team is tasked with disposing of it in the most responsible fashion available. Over 96% of manufacturing waste is either repurposed elsewhere in our operation or responsibly dealt with by professional recycling companies. EA’s waste reduction program has been remarkably successful since its inception and continues its mandate of constant improvement each day. In the area of packaging we have utilized some very creative ideas to minimize our environmental impact greatly. Wherever possible 100% recycled packaging materials are used and packaging processes are constantly re-evaluated for improvements. We offer a packaging return program where dealers, installers, and/or consumers can return packaging materials to our factory where feasible and these materials are reused once again. This has been especially helpful for companies that have regular order pick ups at our dock and installation schedules as they are able to simply return used materials at the same time as picking up new orders. This saves our customer the cost and inconvenience of recycling these materials and at the same time allows greater utilization of those same materials. Environmentally inefficient packaging materials such as peanuts and blown foam are never used in the packaging of our products. For local deliveries and wherever possible, bulk packaging, reusable shipping blankets and/or reusable and recyclable shipping skids are utilized reducing packaging materials to a minimum. Local shipping of chairs, stools and other seating products lend themselves particularly well to this strategy. EA product users and buyers can choose to participate in a unique program whereby any EA products that reach their useful life cycle for whatever reason can be returned to the EA factory where the item(s) in question will be fully refurbished to a useful state once again and made available to charities, underprivileged individuals, and various other worthwhile destinations. Where the product truly has become redundant EA makes sure the item is properly and fully recycled and responsibly disposed of. Environmental consciousness is a guiding value that has become ingrained in every member of our team and is simply the way we carry out our business on a day to day basis.